Roger has wide ranging experience in the business of life science spanning over a decade across the strategy consulting, investment banking and venture capital industries. Prior to his business career, Roger completed his academic training in biochemistry at Oxford University before specialising in oncology during his doctoral work at Cambridge’s Laboratory of Molecular Biology (LMB). Most recently, Roger was senior pharmaceutical and biotechnology analyst at Liberum, an investment bank in London during which time his recommendations delivered top quartile performance. He also has extensive public market experience including IPOs and secondary fundraises. 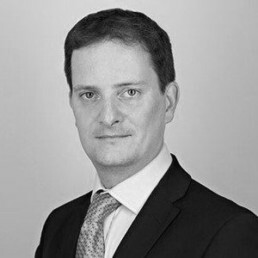 Prior to Liberum, Roger worked for a major European life science venture firm including responsibility for deal sourcing and due diligence as well as sitting on the boards of multiple portfolio companies. At Hadean, Roger is based in the Stockholm office and is particularly focused on investments in the therapeutics space.